I used to have a terrible habit of jumping straight onto the sewing band wagon. Whatever people happened to post on their blogs I immediately wanted one the same, even if I'd had no intention of making it previously. Shiny new patterns piled up in my shopping basket at an alarming rate. Over time I've learnt to temper this mad "gimme, gimme, gimme" attitude, but there are definite traces still lurking. A recent sewing category I was almost lured in by was sewing my own exercise gear. As you probably know, Winnie from Scruffy Badger Time is a fine, accomplished runner. Running is a passion for her and a huge part of her life, so, quite rightly, she makes her own running kit. In true Badger style, her creations are brightly coloured and stylish, mostly using patterns from Fehr Trade (I think). After seeing her VNA Top in the summer I had the pattern in my shopping basket faster than the speed of light, finger hovering over the "Purchase" button. But for once, I hesitated, did I really want to devote my precious sewing time to making exercise gear? To answer that, I need to explain the role exercise plays in my life. Until recently, it played no role whatsoever. Apart from a bit of sporadic hoola hooping, and going on walks with the family, I did no formal exercise at all. Why? Because I'm lazy of course, there's no point beating about the bush, I simply Couldn't. Be. Arsed. I'm also in the lucky position of being happy with the size I am - a slim(ish), medium-sized UK 12. The problem is, I'm also a middle aged woman (45 years of age and counting) and the sorry fact is that the older you get, the harder it is to stuff your face with pies and still remain the same size. Plus a close family member recently had a fatal heart attack, and the shock and heartbreak that followed his death was like nothing I've ever known. I needed to do some exercise, if nothing else, just to stay fit and healthy. 1. I'm rubbish at it, and although it is getting a bit easier, I'll never be able to run further than 5K. 2. I hate running. HATE. IT. I do it because it's fast, easy(ish) and free. I have the time and I have a park at the end of my road - that's all. In case you're wondering, that smile is forced. Sometimes you just have to accept when an area of sewing is not for you. And sewing exercise gear, swimsuits, knickers or anything of that ilk is just not for me. The very rambling moral of my story is, just sew what makes you happy. Running doesn't really make me happy, it's a necessary evil, so I don't want to invest time and effort into sewing running gear. Sewing dresses makes me happy, sewing multiple versions of favourite patterns makes me happy and sewing quick, easy, flattering knits makes me happy. 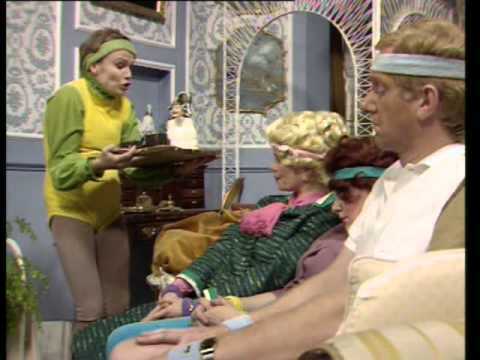 I'll carry on wearing my boring, black kit and leave the sewing of beautiful, stylish exercise gear to the true experts! Great post Jane - my feelings exactly! my exercise wear is definately past its best, but I am pretty sure that I will be buying replacements rather than sewing my own! I go to the gym once a week and walk to school twice a day, but have been toying with doing the couch to 5k thing. I have alway been slim, but very much appreciate that it is better to be a fit slim than not fit. I really like sewing practical everyday stuff that I know I will wear, hence all the tops on my blog! I think I need to make some thicker/warmer tops as most of mine will end up under other layers as it gets cooler.I am moving into sewing trousers having just made some from my block. Loved this post, esp Mrs Overall! Running is hateful at first. I would really recommend a running programme, maybe a beginners one out of a magazine or off the net? It will be far more enjoyable than just the same old slog every time you go out. Running gets easier - I set myself a goal of running a half-marathon in the year I turned 40 and it actually took me 2 years longer than that, but I did it, from not being able to run at all. Try setting yourself a target of a 'race' of some kind - even if it is a 5k mass charity run thing or a ParkRun - and then follow a program to get up to the distance. Once you've done that (and you will!) you can decide if you want to do a longer one, or a faster one, or whatever. And I'd recommend finding a good podcast or talking book to listen to you as you run - I have always found it much more effective than listening to music at taking my mind off the pounding feet. Good luck! Great post! I've also toyed with the idea of making my workout gear but then realized I had exactly zero interest in that kind of sewing. But my main can't-be-bothered sewing is outerwear. I HATE sewing coats! I started a Minoru jacket last winter and it's still sitting there half-done. And I have no desire at all to pick it up again! Very interesting post, thanks Jane! The thing I need to be careful of is making a pattern that I KNOW is not my style just because it looks good on everyone else and I think I should give it a try. Scout tee was the one I did try - I don't go in for loose fitting clothes, I never have, but I was saw so many nice versions and thought that I should give it a chance. I made it, it looked awful on me, I never wore it and I've now given it to a friend. On the other hand, I am just starting to make exercise wear (which isn't something I ever thought I would. I've just started playing roller derby, and awesome funky leggings go down very well! And get me lots of compliments, I'm not complaining ;) my biggest problem is finding awesome lycra to make exercise wear out of! Very interesting post. Until now there are no sewing categories I dislike but I'm relatively close the beginning of my sewing career so I'm sure that ppint will come. Some words on running, I hate it aswell, at least as much as you do. But you're right, it's most important to stay healthy. So I changed my running shoes against inline skates which was the best decision I could have made! It's so much more fun (so in my case at leat a bit fun), less annoying and much more effective for me. Maybe it's something for you, too. You know, I actually love running and enjoy exercise, but I still like the basic black running gear - It hides the sweat! Your honesty is so refreshing. This essay makes me think of the style and home decor blogs I sometimes read. There's a huge push toward minimal wardrobes and minimal lifestyles, and a constant refrain of "have less, do more." I respect the people who have made those decisions, and sometimes I too feel the desire to use less, want less, need less. But every time I try to imagine shaping my own life to that template, it leaves me unsatisfied. I don't want to be a mindless consumer, but having a tiny house, sparse furnishings, and a capsule wardrobe just don't jive with my desire to make things. Thank you for being one of the few people not afraid to say "It's okay to be consumer, so long as you're conscious of your choices." for a while i thought sewing things that gave me your IHATERUNNING feeling, like audition clothing for doctor/lawyer/CEO would make me happier to wear the stuff, but nope! i like shiny dresses. it's a good realization to come to! Jane, this post resonates with me. I always see people sewing pretty dresses & I feel that I should be making them too, but I just don't wear girly dresses. I think it's easy to be tempted into making the latest pattern (especially when you like to support indie pattern designers) even if it's not your style. BTW, I think you look fab in your running gear. You never know, you might change your mind on sewing exercise gear one day. I swore I'd never make jeans and look where that ended up. I don't think anything's off-limits for me, except perhaps very high-end couture-style tailoring... it doesn't appeal at all and doesn't fit my life/wardrobe anyway. I would love to try bra-making next. You might surprise yourself with the running too - it gets easier! Loved this blog. Really laughed at the picture of Julie Walters. I think you look great in your black outfit, would be my sort of gear if I could be arsed. Sorry, but for me Mrs Badger looks a bit of a twit. I actually laughed out load with the Mrs Overall! I can't see myself ever sewing running stuff! I run twice a week and once with a running club and I have to say I dread every run, but really enjoy it once I'm out and then finished!! Definitely would recommend to see if there is a Park Run by you, it's 5km and a completely relaxed run on Saturdays! How funny. Running makes my heart soar, but I'm still rubbish at it. I'm contemplating making some exercise gear, but even if I do it will still probably be in boring black. This rang many bells with me. I've exercised fairly regularly since my mid-20s because I and my sisters all have bodies that want to run to fat. So, it was either learn to exercise, or face the health issues you've raised. I hate the gym, but cycling has been my constant and happy companion for 20 years - until recently - and at times I've taken my running up to half marathons. Over the past year my running has dwindled to nothing and my bike is in the shed. With my dog, I walk 3-5 times a day and can clock up many miles. But I'm definitely at that mid-40s quandary of how to engage my need for exercise with a body that is slightly starting to ache, plus a mindset that has been overstretched for over a year now. I've definitely seen that mental health and physical health go hand in hand. I'm not sure any of this answers your sewing questions, but felt the need to splurge! I'm not going to try to convince you... I know I'd be miffed if anyone tried to force me to sew a pink, floral, gathered waist dress just because they love to sew that. I've totally enjoyed the challenge of sewing sportswear... it's been an interesting journey but I have a few items that I feel truly great in. If I feel happy in my sportswear, I'm more likely to train harder and longer and that's health benefits all round. My other motivation is that I spend about 6 hours a week in exercisewear so I want to have me-made outfits for that part of my life just as much as any other hour of the day. Bras. Will not happen. I see beautiful, self-made bras on various blogs, but for me I want bras in various colors, that are very silky feeling including the band & straps, underwire, with absolutely No seams anywhere on the cups. Lace makes me itch- so no lace. When I find one I like that fits I buy several. I love sewing cake--items that I will wear regularly. When I find a pattern that works for me, I sew it over & over, mixing-it up sometimes to add some zing. Right now my focus is jackets/blazers & am gearing up for my first tailored wool coat. I don't run--I walk. I walk 3-7 miles per day at a good pace. I had a major knee injury 8 years ago that required surgery & many months of physical therapy, where I learned that walking may not be as fast as running, but you can derive the same benefits & cause less stress on joints & have fewer injuries. BTW--I love your blog, have been reading it for several years. You are a delight. I'm afraid I am one of those forty somethings who loves running (although I wasn't convinced I would) and now I really enjoy sewing my own running gear and am contemplating a pair of cycling shorts *gasp*!! Melissa's (Fehr Trade) patterns are fabulous - so well thought out and whilst I haven't sewn them all I have sewn from three of them. For me I sew running gear mostly because I struggle to buy stuff that fits, I have problems with chaffing (tmi??!) and because I enjoy the challenge, not only in finding suitable fabric but also getting to grips with knits. I think out of choice I would rather whip up something in a knit fabric than wovens - but I'm trying to broaden my horizons! "Oh you sew! Can you hem/shorten/zipper/take in this skirt/jacket/dress ,, it won't take you more than five minutes!" " oh I'm so glad I won't have to take it to the tailors! They wanted twenty quid for that! You'll do it properly mind won't you"
I'm in my early 40's and have run on and off for the last 20 years. I know I'll never run more than 10K. I also have a dodgy knee which isn't helped by lugging a 3year old around. I've recently started cycling to work, 4 miles each way, and I think that going forward this'll be my exercise and to forget about the running. A comment above mentions that mental health and physical health go hand in hand and I couldn't agree more. I plan to run up some sportswear tees for cycling, I already have some polyester wicking fabric in my stash. I got stuck on the Sewaholic Trench coat over a year ago and I can't see it ever being finished so I think outerwear is a no no for me. Also I don't think I'll sew a bra, I'm planning on sewing knickers and I even knit my own socks but don't fancy tackling a bra. You look great in your Lycra. I also was inspired by Scruffy Badger and bought the VNA pattern but I was so intimidated when I looked at it I still haven't attempted it. 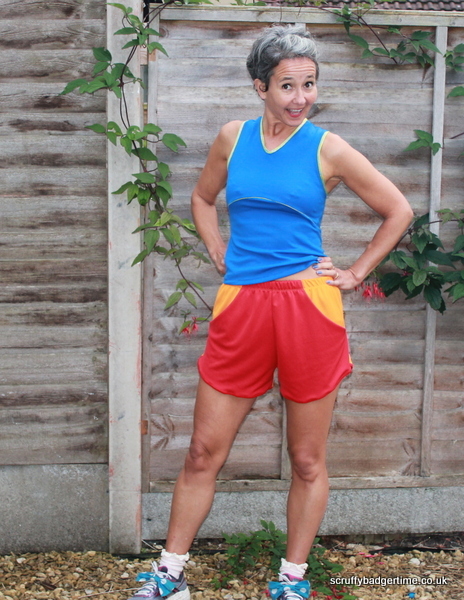 Perhaps we could have a sub-genre of sewing blogs for runners?! The first exercise gear that I sewed was leggings using the Papercut Ooh La Leggings pattern (not an exercise specific pattern) and then moved on to Fehr Trade. I love them all, love running in them, love being able to make my own. I've even made a couple of the Fehr Trade XYT tops as casual tops out of ordinary knit fabric. One thing I LOVE about the Fehr Trade patterns is that their instructions are brilliant. Melissa hasn't assumed any level of sewing skill, she's detailed every step of the process. If you can sew knit fabric then you can use her patterns. She's also very accessible if you have any questions. I really admire your self-awareness that you don't want to make your own exercise gear. We sew for fun, and I haven't yet met a sewer who had enough time to sew things he or she didn't enjoy (not including repairs on clothing for the hubby). Enjoy your running! I hear you. I ice skate for exercise (and to amaze myself) and lately I've been thinking I should stop paying $40 for skating pants. But then I come to my senses and realize these $40 pants (from LLBean) fit me well and last forever. I do make my own skating dresses for testing and competition because store bought ones are really expensive and I need a longer skirt on mine due to my advanced age. First time poster but I've been reading your blog for some time. Love your style! I agree with you! I was a national-level marathon runner in my twenties, before the recent running boom, but to be honest, I don't love running the way that I used to at this point in my life (the same as yours). Furthermore, I don't think running is for everyone. In fact, it has its benefits, particularly for those who have good biomechanics, but it can also do damage (doctors have told me interesting things about my spinal column...). I do some running now but prefer to mix it up with lots of brisk walking, cycling on my bike with friends (or put up on my bike trainer at home when it's -20C outside). I also enjoy yoga, swimming, canoeing, dancing, snowshoeing, skating, hiking. I think life is too short to do things you don't like, so whenever possible I try to find things that achieve the same purpose and that I enjoy more. This is not to disparage running for those who love it, but just to offer an alternate view from one who has been there. The rule about doing things you like also applies to sewing! PS I wore the same two pairs of running tights for twelve years (complete with holes) and find that cotton t-shirts and shorts are good enough for me, so I don't think I'll be sewing lots of exercise gear. I've found it really interesting to watch the current running boom and the patterns in gear, because in my day we wore pretty scruffy stuff and trained very hard just the same. In fact, when I started out I was running in a pair of too-large basketball shoes that I stole from my brother's closet, and after that in whatever I could scrounge up when I was a student. The running kit others are sewing is very wonderful though and fun to look at! The Fehr Trade patterns look to be very good. I have tried and given up on sewing: coats, jeans, bras and tailored jackets. Actually, I am beginning to think I have given up sewing altogether - GASP! 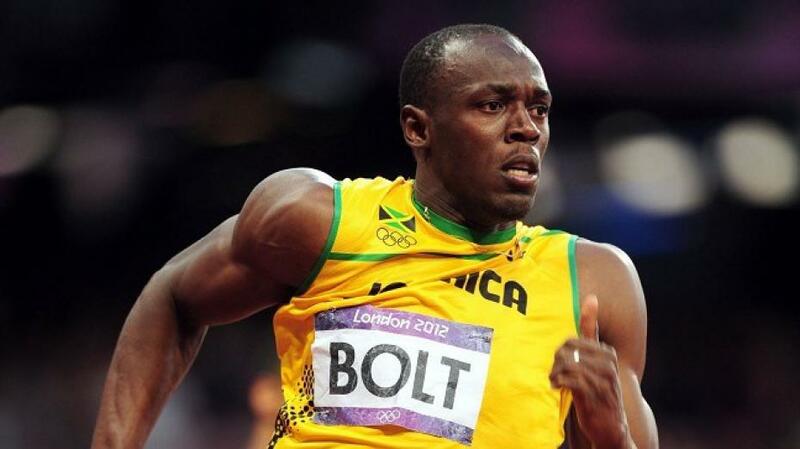 Enjoyed your post when I read it last night, you are very honest and funny about your running. Good for you for starting now. As a pretty active 48 year old, it would seem obvious for me to make my exercise clothing (I have seen Winnie's running rigouts and they are fab and so individual for her) but just not sure if my sewing would hold up to the stretching, exertion etc. The nearest I have come is making merino tees and sweatshirts and I think that will do for me. Sewing wise, this year I decided to try and improve my techniques and make some pretty dresses, which I did and I enjoyed the process, but the reality is that I haven't actually worn them much (even with a good summer). If sewing is a hobby primarily, then with the precious time I have to do it, I want to make things I am going to wear in daily life so, for me, that is jersey/knit dresses, tops, blouses, shirts and skirts. I am aiming to make a winter coat (made one for my husband last year) and would also like to master trousers. Whenever I started sewing I never imagined I would be sewing so much, I love it.... and that's the point, it has to be fun and give you pleasure For me, if I was to try and make every single item of clothing, it could become a drudge and I definitely don't want that. Somehow running black lycra through the sewing machine just doesn't seem as fun as japanese fabric or a lovely woolen fabric. Now if I can persuade my husband to take up ballroom/latin american dancing again ( we used to do it in our 20's) that would be fun sewing! Oh, so true! I can't make the fitted t shirts I love to wear. Have tried many times and wasted much time and fabric. I officially give up! I just recently started run/walking (I'm on week 3 of couch to 5k) and I bought my exercise stuff. I did consider making it but I thought it would be another excuse not to exercise - as in I would start running once I had made something, but I know that I would bump the exercise stuff as far down my list as I could. I'm actually not hating it at the moment, not loving it either though! This is going to sound silly but the thing I cannot bring myself to make is pyjamas - either for me or my daughter. I just feel that there are better things I could be spending my time doing even though I know it would be so easy and take so little time! Jane, turns out we might be secret twins! I'm also 45, never really had a weight problem but find I have to do a lot more now to fight the middle age spread, some serious heart disease in the family (although I am glad to say not fatal) and I HATE running! But your post caused such a severe guilt attack that at least I went out nordic walking for an hours this afternoon :-). I've never really considered sewing exercise gear, for the limited exercise I do I don't need any real equipment apart from shoes. So far, I've avoided literally everything with buttons. At some point I will challenge myself to do it, but for now, I'm like you in that I like quick, easy makes. I hear you on the running, I hate it too. I have started biking to and from work a few days a week, hopefully this will be enough! As far as sewing goes, I won't sew underwear, bras, or exercise wear. I see little point in sewing something I am going to sweat in! As for underwear, I need a fairly decent bra and as yet haven't seen the need to to make one. Knickers I was avoiding, but now I have a whole bunch of knit scraps I was going to use up and this is all I could think of to do with them! I avoid making underwear but I think the lack of well made options is forcing me to rethink making these. As for exercise, find something you like. And see if there's a group you enjoy training with. For a very long time I trained with a motley cycling group who were always encouraging so cycling for 5 hours on the road was a bit more bearable. Now my 6am gym friends keep me coming back even when I really don't want to get up so early. So again, find something you enjoy. I've really enjoyed reading your post and actually all the comments too. There is that thing about being a reluctant exerciser...who else was among the last to be picked for team games at school? Oh the humiliation! I can't run and have no interest in taking it up. However, for the last 2 years I've been doing adult swimming classes trying to improve my swimming and learn new skills. I learnt as a child and enjoyed swimming but gradually lapsed as I went through life. To be honest, I also found it a bit boring just swimming up and down the pool by myself. So the classes tick the social side of things and also push me a wee bit out of my comfort zone, which I confess I enjoy (tumble turns?!?...yikes!). But I have never made any of my swimsuits despite seeing lots of really lovely ones made by other bloggers. I don't think I could spend so much thought, time and effort in making something that realistically lasts at best, a year. Basically, they slowly dissolve in pool chemicals. As an earlier commenter said, they have a limited amount of time and would prefer to sew something they enjoy sewing. What do I not enjoy sewing? Things for other people (how selfish!). What do I enjoy sewing? Things for me! I like now and then to sew something that's a bit of a challenge and makes me think. Other times, I like nothing better than a quick fix. Something that fills a gap in my wardrobe. Over the last few weeks I've been thinking of sewing myself a wool jacket/coat so I'm daydreaming about fabric, finishes and buttons/snappers...there, I'm off daydreaming again! 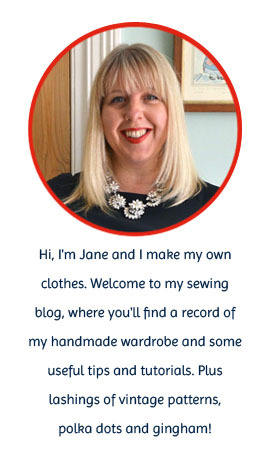 Love reading your blog, Jane! I was like you too! I'm 43, starting jogging/running two years ago and now love it. (except I sprained my stupid ankle 7 weeks ago while dancing and am eagerly waiting for it to heal) I love how it gives me more energy throughout the day and keeps the jiggle at bay! I sewed a cute pair of 70's jogging shorts out of an old lady velour muu-muu. They're awesome and I'm thinking I might make another pair. (contrast red piping on blue velour! yes!) I won't sew coats as I think it'll take waaaay too much time and I don't have the patience. Plus, I live in Texas and I already have so many vintage coats so there's no point! Sorry for rambling. I think you look adorable in your anonymous workout gear. Keep it up. You'll get more addicted to how it makes you feel. I started jogging north of my neighborhood and exploring unknown areas. It's so meditative too! Underwear. NOT INTERESTED. Don't wanna make bras, don't wanna make skivvies. HELL NO. I've made a bit of exercise gear, mainly because sewing with stretch fabrics makes fitting so easy, but I don't find it all that enjoyable... probably because I don't find exercise enjoyable. I do it out of obligation! My brother is a personal trainer so I recruited him to get me into shape for a 5k I'd stupidly signed up for. It turns out that I really, really hate jogging. It's hard to put into words how much. I found it so boring. On the plus side, I found that I really like resistance exercises, and things that I can see an improvement in the amount of reps I can do in a minute. I say experiment with different exercises - everything I've done has been in a local park. You'll find something you actually enjoy. Or keep jogging, whatever works - I think it's awesome that you've just got up and started working out, which is the hardest bit. I'm being persuaded to sign up for a triathalon next year and it's the running which puts me off as well - I hate running, so much! I don't think I'd sew my own exercise kit, I'm more about 50s style dresses and maybe the odd something else thrown in here and there, but I mostly stick to what I like - dresses. I'm a little scared, although I've now got an overlocker, to sew anything with knit fabric. Argh! I love exercising, but not running! I find running gets really boring after a while and I would certainly need my favourite music with me to keep me going. I would never attempt to sew running or any other exercise gear. I'm happy to buy them from some leading brands who know what they are doing. Also, I think I would struggle to find the right fabric, I find it difficult as it is. I enjoy sewing easy knit tops and dresses and also some more challenging things, like jackets and shirts, when I have the time and patience.